Now and then I read a book that just says summer is here! 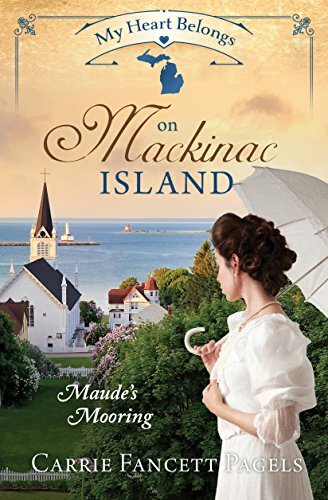 I recently finished reading My Heart Belongs on Mackinac Island Maude's Mooring: by Carrie Fancett Pagels and this is just such a book. Maude Welling is a lovely young woman, considered by fellow islanders to be the best sort of girl. She is unspoiled by the things most girls visiting the island long for. Her desire is to marry Greyson, her long time intended, and run the family inn. Fate, however unkind, intervenes and Maude is left at the pier to watch in horror as Greyson introduces Maude to Ann, his new wife. Enter Mr. Frederic Konig, a handsome young man who is a very wealthy industrialist, witnessing the entire scene between Maude, Greyson and Ann. He was taken in by her hurt manner, but even more so by her beauty and grace. Mr. Konig will be staying at the very smart Grand Hotel, the very best place on the island to find wealthy young women. Frederic, though, is an imposter. He is not who he says he is. He is actually Ben Steffan, a young reporter for the Detroit Post. He was furnished in the finest men's fashions, schooled in the proper etiquette of wealth and, more specifically, on special assignment to expose handsome young dandies who prey on lovely young women of fortune. He can fool the many but in his heart he knows who he is. A man of compassion, he feels like he is playing a game of the Prince and the Pauper. His dress and actions speak the part but his good nature continues to shine through. Mark Twain himself appears at the Grand, a nice touch of poetic license that adds just the right spice for Ben when he needed it. Maude lives with her widowed father and lively brother Jack. She should be learning to take over the family inn, The Winds of Mackinac, but her father's wishes are adamant: she will not run the inn without the help of a husband. With her wedding plans down the pipe she is determined to prove to her father that she is capable of running the inn. She assumes the role of maid at the Grand Hotel, fooling her father but risking termination by her lack of skills. Frederic takes an interest in Jack, an incorrigible lad who seems to be everywhere at once with many plans up his sleeve. He and his games are incorrigible. Jack is running so much it is hard to realize that if he slowed down he'd have to deal that old pain that keeps rising to the surface named grief. The Wellings lost their mother the year before and the grief is still hanging around the house like an unsung song. Maude, her father and uncle Robert all have to come to an understanding of the future of the inn. Wills are meant to make things easier for loved ones left behind but once in a great while, a codicil can change the expectations of everyone. There is more riding on the fate of this will than just a family legacy on the island. I liked the story. The setting on Mackinac Island lent itself well to the summer people who likely found respite from the city during the heat of the summer. Young women of marriageable age would have enjoyed being pampered at the Grand Hotel. The idea that a paper would set a handsome young reporter on unsuspecting gold diggers was a nice twist. It lured me in like a fisherman with a tall tale. I recommend you add My Heart Belongs on Mackinac Island to your summer reading list! 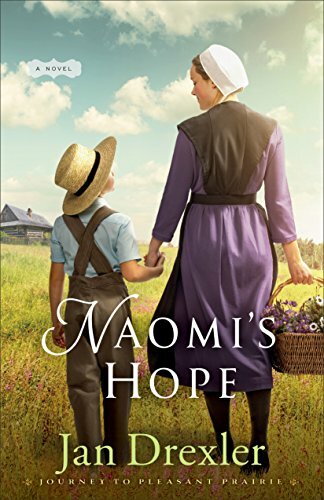 Naomi's Hope is book three in Jan Drexler's Journey to Pleasant Prairie series. I have enjoyed this series from the start of the journey along the Conestoga Creek through to arriving after many trials to their land in La Grange County, Indiana in 1843. Three years have passed and the community that started as a dream is now settling into permanent homes. Families are thriving, crops are plentiful and there is peace among their new church district and it continues to grow. Naomi Schrock has raised her adopted seven-year old Davey for three years. They found him, the lone survivor of a Tornado hiding inside a large fireplace. The storm killed his parents and baby sister and raised the house and farm to rubble. Single and likely to remain so, Naomi loves and dotes on Davey. Cap Stoltzfus moved to the area for a fresh start. He lost both his wife and son in childbirth seven years ago and is determined to break free of his grief. By chance, Christian Yoder drops by the clearing where Cap is building his home alone. It doesn't take long for Christian to size things up and organize a house raising. The work of many hands quickly builds the sides and roof of his home. Overwhelmed by the generosity of his new neighbors Cap quickly becomes one of their own. Davey found Cap first, quite by accident simply by being a curious boy of seven. Their farms are adjacent and it's not long before Davey wore a path is to Cap's. Both are taken with each other and develop a special bond. Naomi and Cap, through Davey, spend time together, developing feelings for one another. Could they possibly become a family? This is a story of strength, courage and forgiveness. When community warmly welcomed Cap, they also welcomed Shem Fischer, a minister from Canada to the area. Shem is agreeable, seemingly devout and insinuates himself comfortably among the people. Cap is wary, having known Shem under different circumstances growing up. Before long, there is rising mistrust that threatens to splinter the community. It takes courage and strength to rise above strife. Davey is central to the story, tying so many facets together. Young and innocent, his strongest desire is to have a family. His story will win your heart as he weaves into and out of mishaps. My heart was warmed by this special young man and the love he truly brings to his family. I heartily recommend this book. I have grown fond of the characters in this series. I admire the strength and courage they had to move from their homes and travel to a new land only to start over. Meet identical twins Thelma and Elma! I was introduced to them when I read The Lopsided Christmas Cake by Wanda E Brunstetter and Jean Brunstetter. When a buggy accident claimed the lives of their grandparents, the twins inherited a home and store in Topeka Illinois. Moving from Sullivan to Topeka was not easy and they found their new home was not as ship shape as they remembered from childhood visits. Hard work and faith carries the girls through each challenge. The Lopsided Christmas Cake is a lively story of their coming of age. The Farmer's Market Mishap centers on Elma and Ben Wagler who it would seem couldn't possibly get together. Imagine being of marrying age and just not finding the right mate yet matchmakers seem determined to pair you up with unsuitable matches. Elma feels destined to be an old spinster running her store alone after the recent marriage of Thelma to Joseph. Even though their home is across the street she misses the close companionship she felt with her twin. Ben has been living with his mother on the family farm since his father passed. A farrier by trade, his life seems to be too busy to court the young woman his mother has "chosen" for him. He's met every other eligible young lady in his community and feels destined to carry out his life without a wife. A chance meeting at the farmer's market in Shipshewana sends sparks to both Ben and Elma. The spark kindled by this encounter leaves a lasting impression on both their hearts but she lives in Topeka and he lives in Grabill. 50 miles is a bit far apart to begin a courtship for this Amish couple! What of Ben's mother, Dorothy, who couldn't live alone, or the store, or Thelma's new baby? How can these two get together when distance and family obligations threaten to keep them apart? This story is light-hearted and heartwarming. 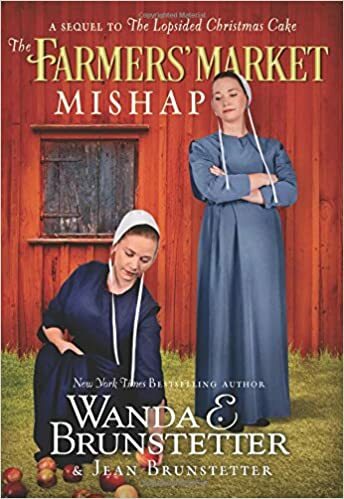 I recommend The Farmer's Market Mishap for anyone who enjoys Wanda Brunstetter's legacy of Amish fiction. I am excited to welcome Inspirational Author Jody Hedlund. I asked her to join me to answer a few questions about her latest book, With You Always releases today. 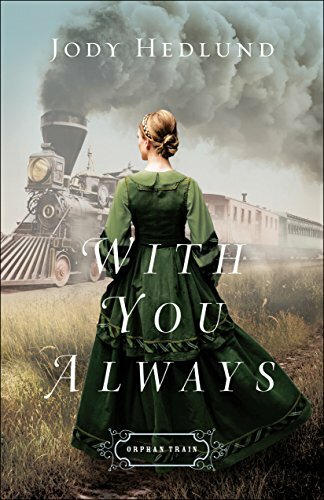 With You Always is the first book in the new Orphan Train series. 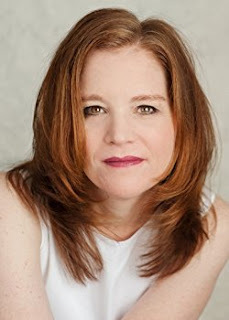 How did you come up with the idea for the first book in the series, With You Always? For this first book in the series, I decided to base the story around the placing out of women that happened in 1857 as a result of a financial crisis and economic panic in the autumn of that year. Women laborers were already at a disadvantage with poor working conditions and low wages. In September of 1857, estimates of New York unemployment ran as high as forty percent. Female employment was cut by almost half. With prostitution already a main source of income for many women, the recession drove even more to desperate measures and the number of women in prison rose as well. To meet the growing crisis, the Children’s Aid Society in New York, along with organizations in other cities, who were already sending children West, decided to set up special placement offices to find jobs for seamstresses and trade girls in the West. The associations only wanted women of “good character” and they were required to provide references. If the women met the qualifications, then they were sent on trains to towns in Mid-Western states, particularly central Illinois where the demand for cheap labor was prevalent. They were presented to western employers as “helpless females left without the means of support.” Placement of these women continued until the spring of 1858. It was my hope through the first book in the series, With You Always, to give readers a glimpse into the disadvantage of women during this particular era by showing the heroine Elise Neumann’s struggle, first in New York City and then also the continued heartache and problems that arose after leaving her family behind so that she could attempt to start a new life in central Illinois. Thank you for stopping by Jody! Please visit one of the places and say hello to Jody. I recommend this book and already look forward to the second book. Check out my review!